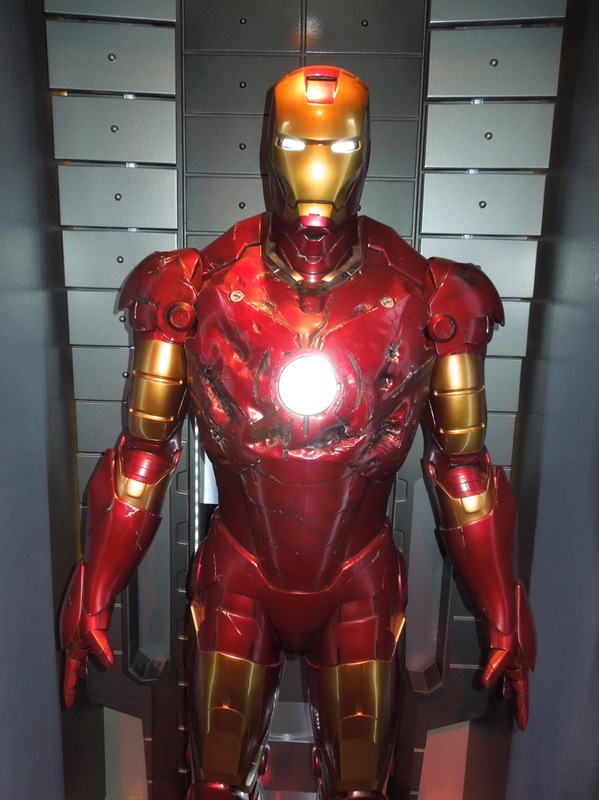 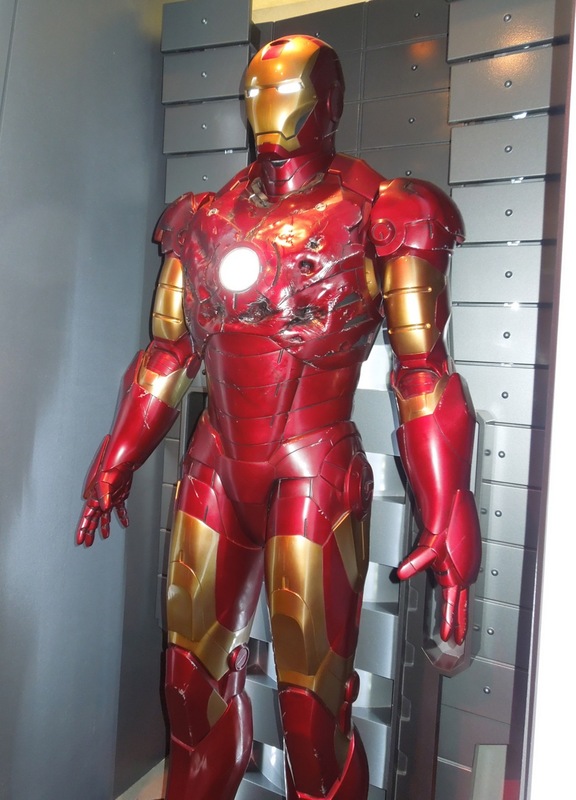 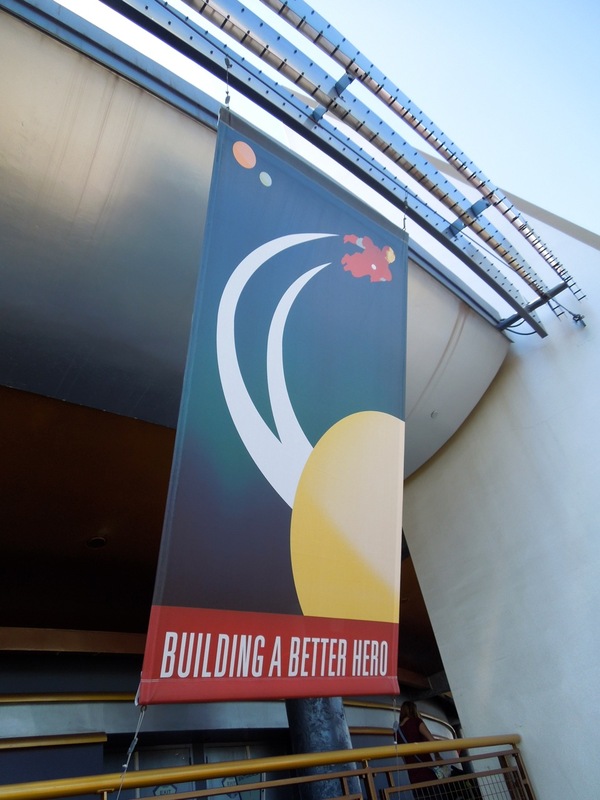 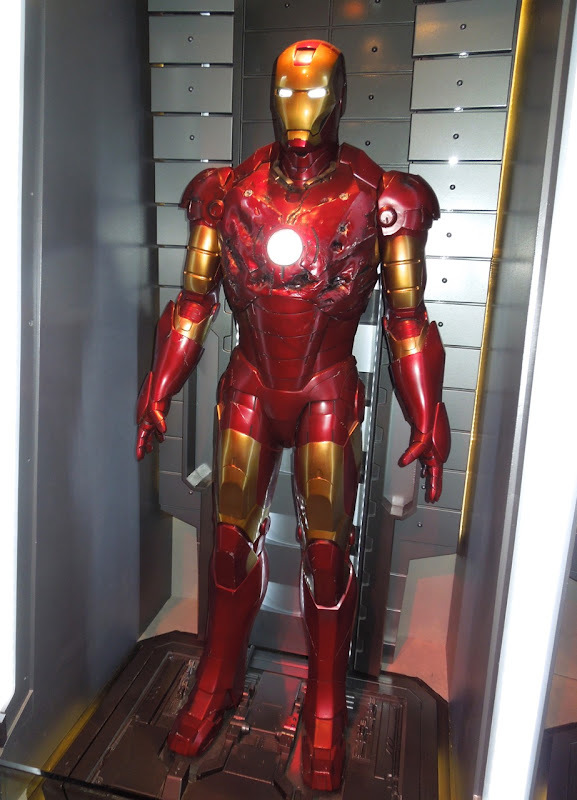 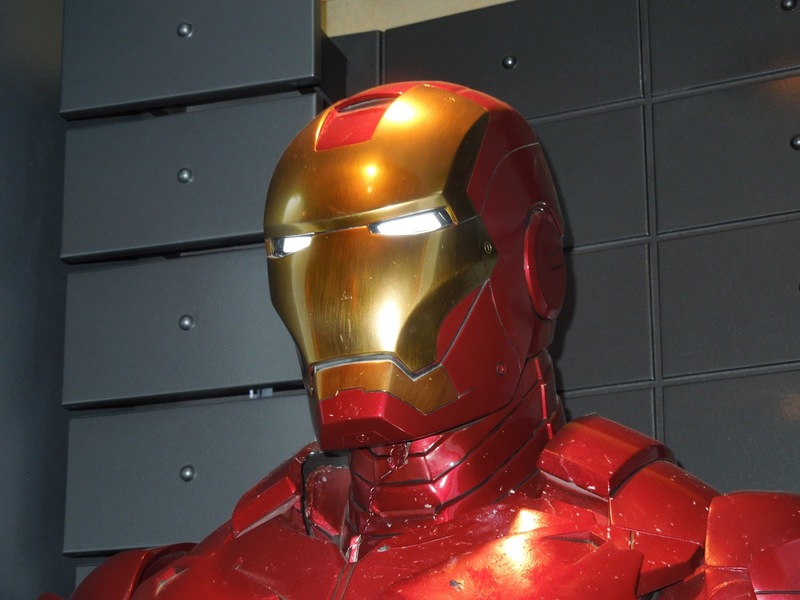 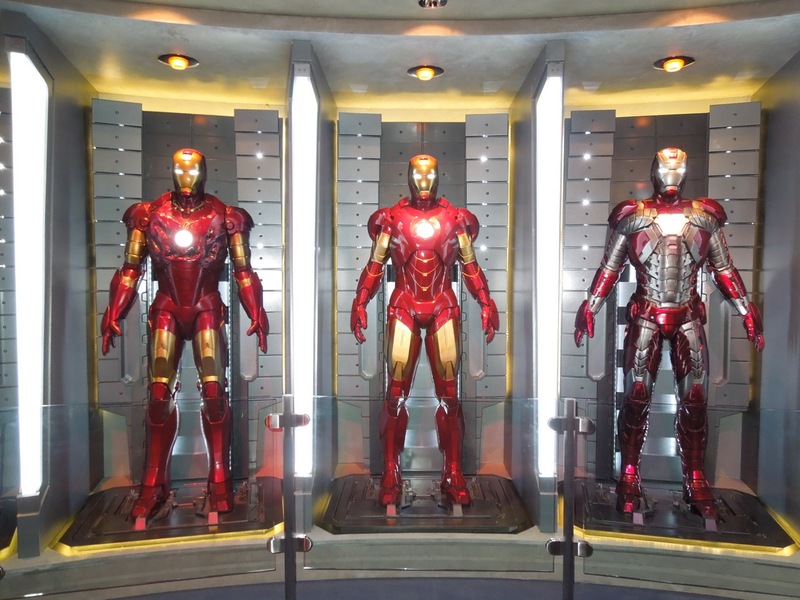 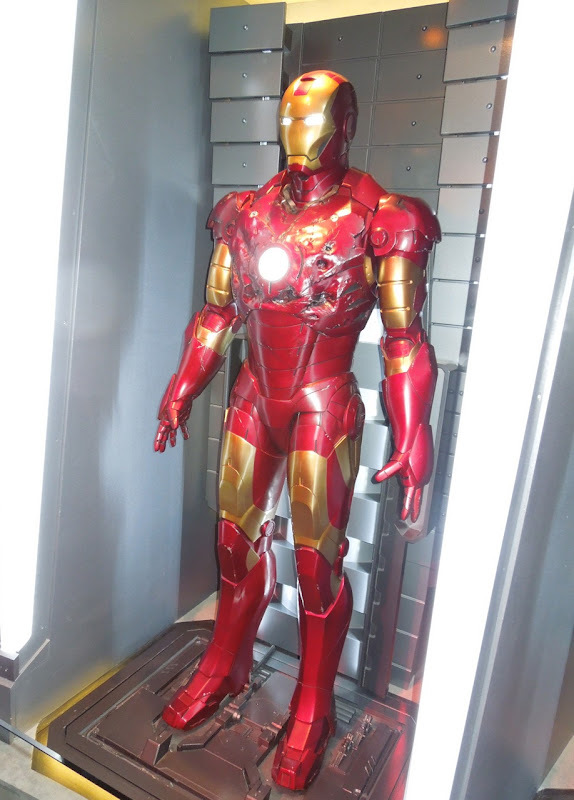 I've been a huge Marvel Comics fan for almost 30 years, so you can understand how excited I was to see the new Iron Man 3 movie suit and Tony Stark's Hall of Armours exhibit at Disneyland in California on April 17, 2013. 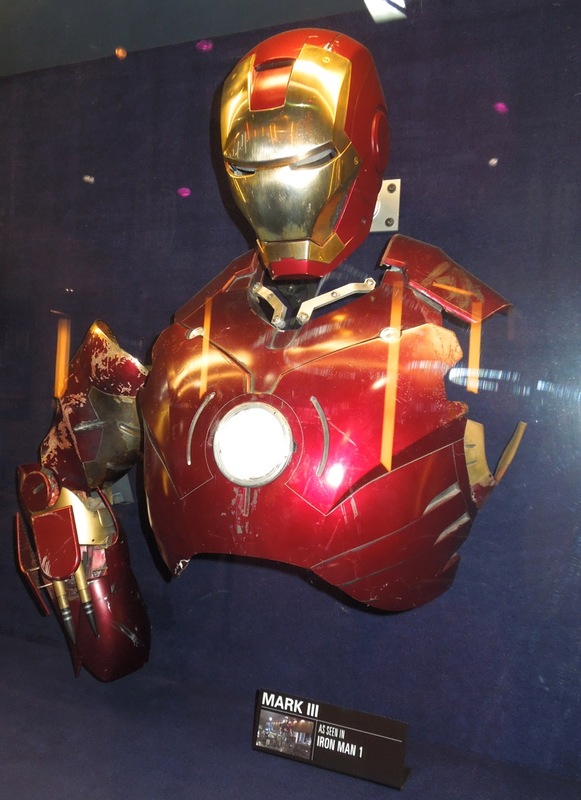 Included in the display was this battle damaged version of the Iron Man Mark III armour that featured in his 2008 big screen origin movie. 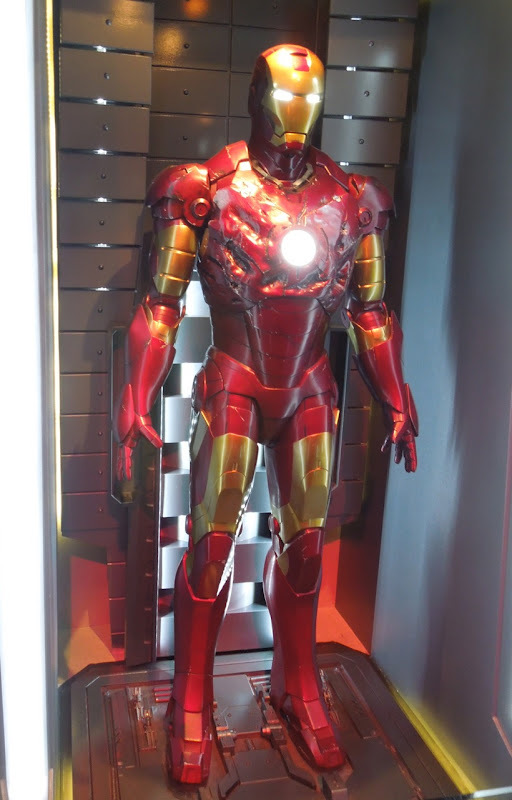 If you like the armoured Avenger's sleek red and gold look, but sure to also check out the unpainted silver Mark II Iron Man suit that was also on display. 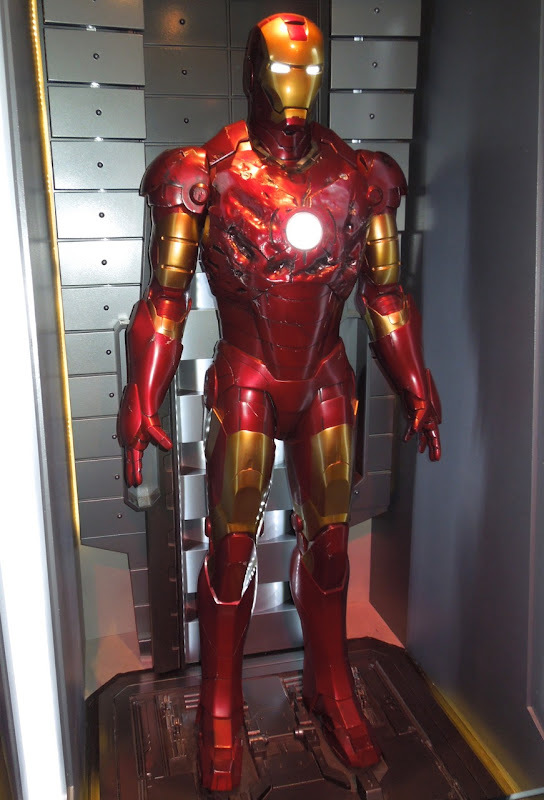 Here's a few more close ups of the futuristic looking suit that Tony Stark wears in the first movie. 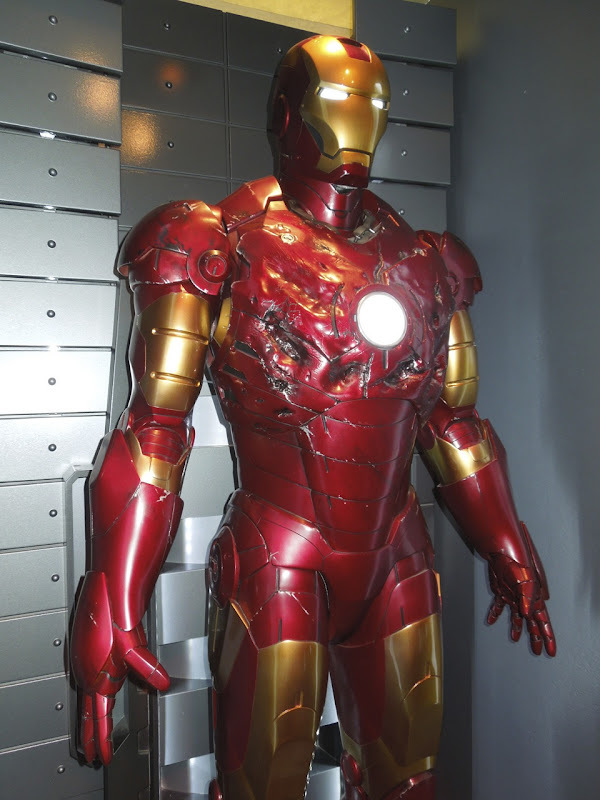 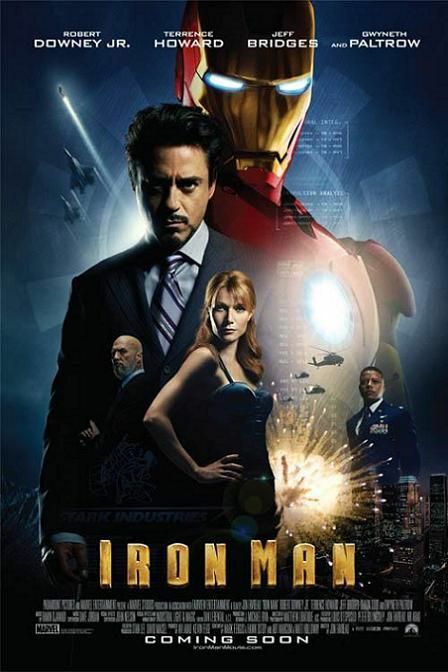 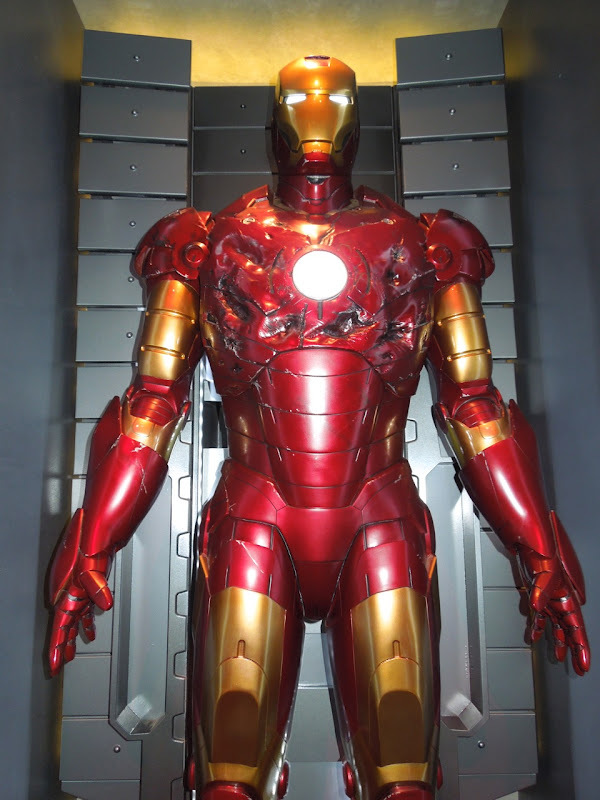 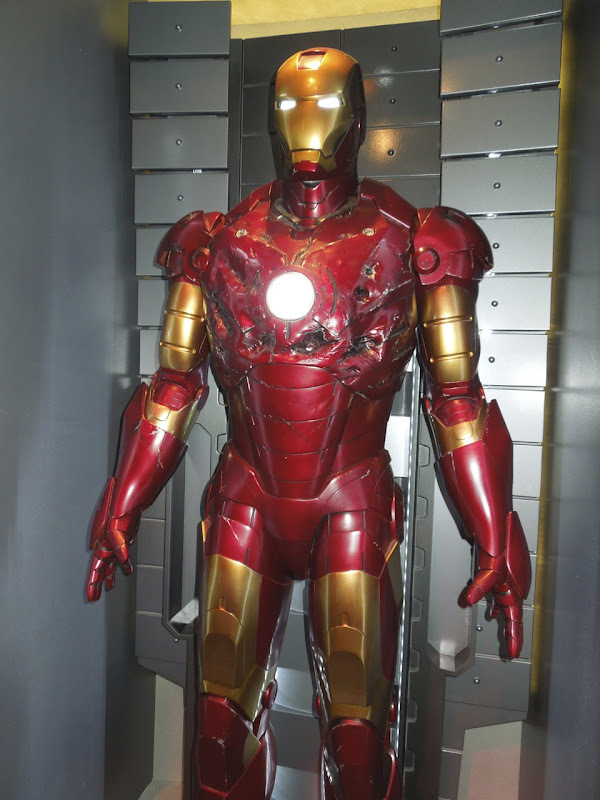 Be sure to also check out this undamaged version of the Iron Man suit used in the movie when it was on display at ArcLight Hollywood cinema to promote the film's release in May 2008. 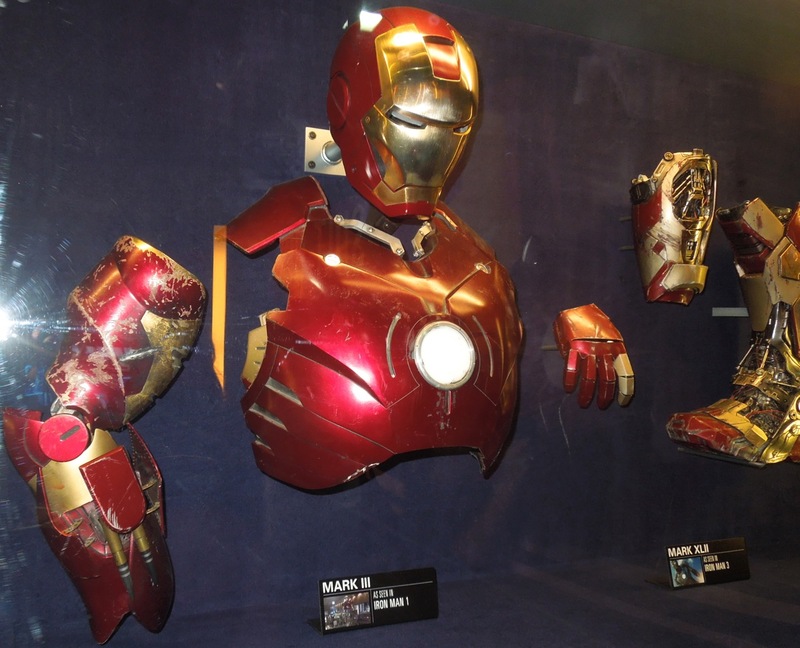 Also on display alongside the full-size armour at Disneyland were these original pieces of the Mark III suit worn in the first Iron Man film.